Discriminantly separable polynomials by definition are polynomials which discriminants are factorized as the products of the polynomials in one variable. Motivating example for introducing such polynomials is Kowalevski top, one of the most celebrated integrable system, where the so called Kowalevski’s fundamental equation appears to be such a polynomial. We introduced a whole class of systems which are based on discriminantly separable polynomials and on which the integration of the Kowalevski top may be generalized. We present also the role of the discriminantly separable polynomils in two well-known examples: the case of Kirchhoff elasticae and the Sokolov’s case of a rigid body in an ideal fluid. Also we present the classification of the discriminantly separable polynomials of degree two in each of three variable and relate this classification to the classification of pencils of conics. Another application of discriminantly separable polynomials is in integrable quad-equations introduced by Adler, Bobenko and Suris. This paper presents a short review of our results concerning these polynomials. The research was partially supported by the Serbian Ministry of Science and Technological Development, Project 174020 Geometry and Topology of Manifolds, Classical Mechanics and Integrable Dynamical Systems. One of the authors (K.K.) 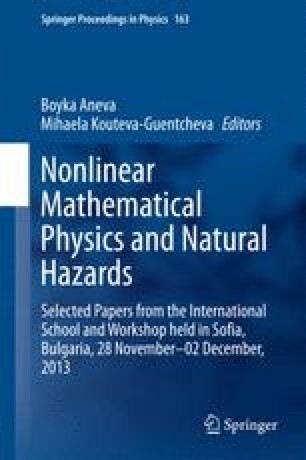 uses the opportunity to thanks to professor Boyka Aneva for hospitallity during the conference Nonlinear Mathematical Physics and Natural Hazards, held in Sofia in November 2013, and also to the ICTP—SEENET-MTP Project PRJ09 “Cosmology and Strings” in frame of the Southeastern European Network in Theoretical and Mathematical Physics.